Nothing beats kicking back with a great movie and some popcorn at the end of a busy day! 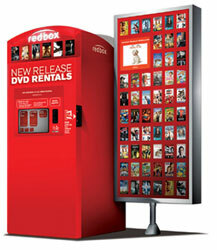 Redbox wants to help you relax by offering a free movie rental today, 3/8, only! Use code THANKS2U for your free rental. The code is good 3/8 only and only at the kiosks. If you rent a blu-ray or video game, the code will deduct the value of the free DVDfrom your total.